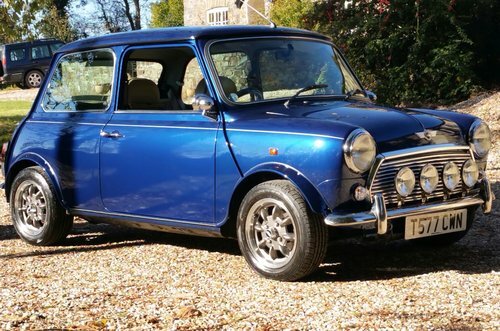 1999 Rover Mini 1.3 MPI in Tahiti Blue. 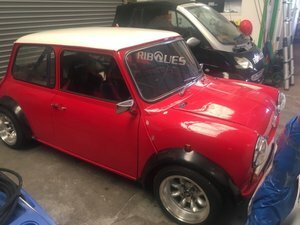 This immaculate mini looks fantastic with its new alloy wheels, colour coded arches and 4 chrome spot lights. 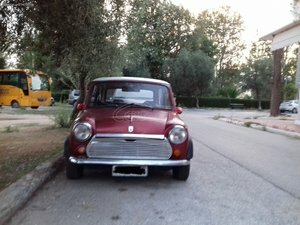 It was owned by a retired lady for its first 17 years of its life and was always been garaged by her and by recent owners. 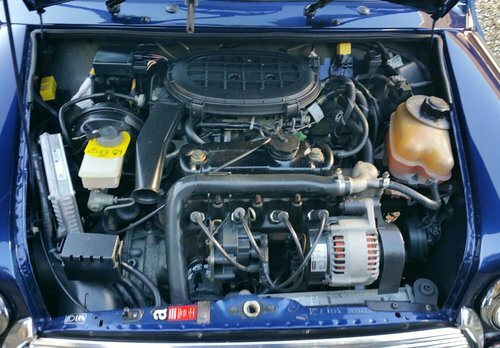 As a result the body condition is very good and it has only covered 35300 miles in the last 19 years. 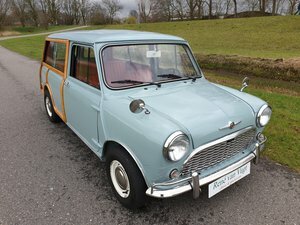 It has recently had 2 new Heritage door skins fitted plus new Heritage A panels and a rear valance. These panels have also been wax-oiled to protect them for the future. 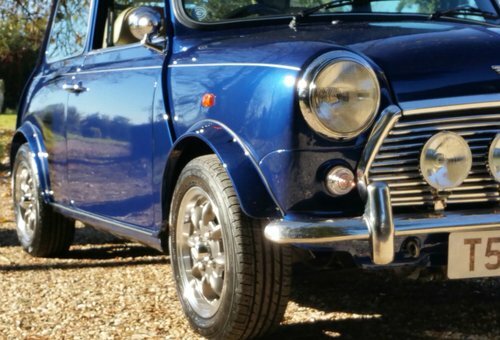 The mini has always been professionally serviced and I have a nice history file to support this. 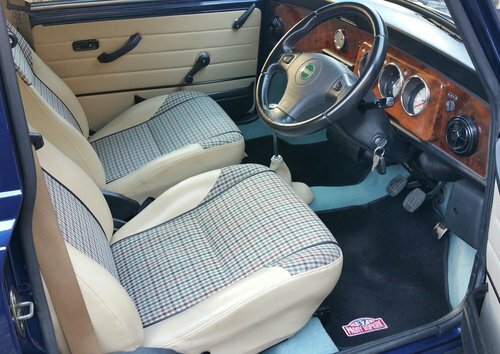 The interior is bright and clean and the original walnut dashboard is in great condition reflecting its garaged life. 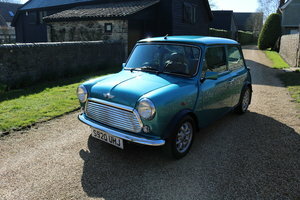 The mini drives very well and is quiet and smooth on the road. 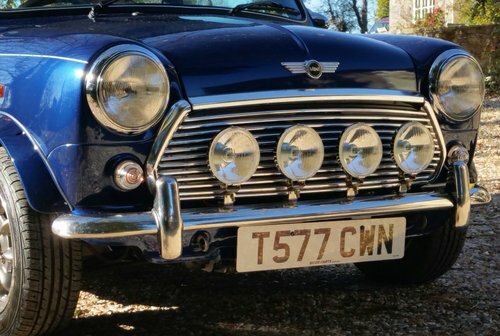 The 1.3 MPI is the same engine as used in the Mini Cooper so it accelerates strongly through the gears and with its new wider alloy wheels feels very positive in the corners. 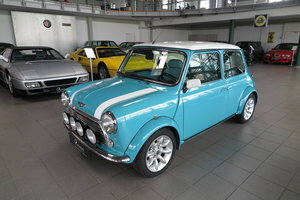 This is an immaculate and different mini which its new owner will enjoy polishing. 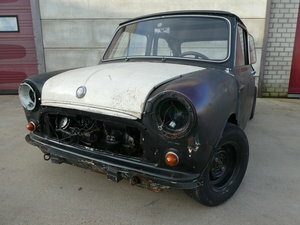 With its stunning paint finish and attention to detail it will be very welcomed at all of the mini shows. 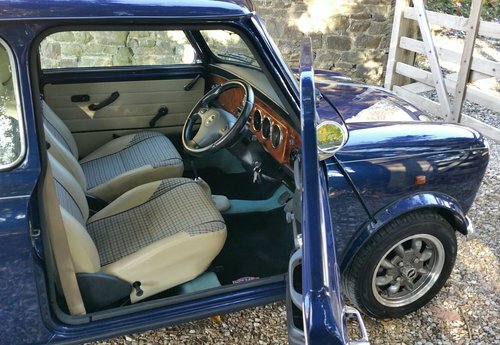 I do have the original factory fitted gear knob and colour coded door mirrors which are included. Free delivery in my enclosed van within 200 miles of Tiverton.